Description: Sylvie and Jules, Jules and Sylvie. Better than just sisters, better than best friends, they'd be identical twins if only they'd been born in the same year. And if only Sylvie wasn't such a fast—faster than fast—runner. But Sylvie is too fast, and when she runs to the river they're not supposed to go anywhere near to throw a wish rock just before the school bus comes on a snowy morning, she runs so fast that no one sees what happens…and no one ever sees her again. Jules is devastated, but she refuses to believe what all the others believe, that—like their mother—her sister is gone forever. At the very same time, in the shadow world, a shadow fox is born—half of the spirit world, half of the animal world. She too is fast—faster than fast—and she senses danger. She's too young to know exactly what she senses, but she knows something is very wrong. And when Jules believes one last wish rock for Sylvie needs to be thrown into the river, the human and shadow worlds collide. Review: I had no idea what to expect when I picked up Maybe a Fox. I noticed that it was getting starred reviews from a lot of library journals and I thought I should read it to find out what all the fuss was about. I figured since it a fox in the title and story it would be a cute story, but I was so wrong. 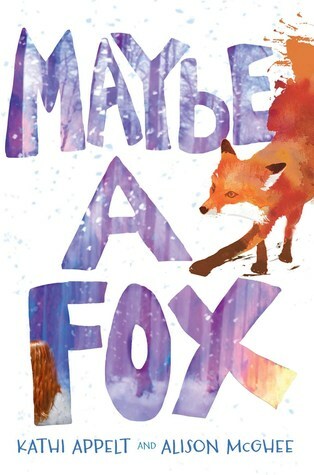 Maybe a Fox is a bittersweet middle grade novel about death, grief and the coping mechanisms we use to carry on living in the aftermath of devastating loss through magical realism of talking animals. It is a heavy read, but once I got over my shock and wrapped my head around the themes I was easily able to submerse myself into this quiet novel. Sylvie is the older of the two Sherman sisters. She is the runner and the impetuous one. A year younger is Jules, the introverted thinker who is also a rock collector. The morning of the last snowfall of the season in rural Vermont, Jules and Sylvie build a miniature snow family before getting ready for school. After playing in the snow, Sylvie darts off into the woods, much against their father's orders, to throw a wishing rock into the Slip and that's the last time anyone sees her. At that moment, a fox kit is born. One of a litter of three, this kit is a "kennen," a being that has an understanding that others do not possess and a destiny that it cannot escape. It's tied to Jules and to Sylvie. Although Sylvie's body is not found, everyone knows she drowned in the river and is gone. 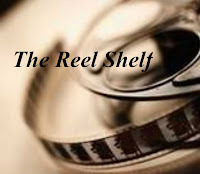 The story is written in a dual narrative. One from Jule's point of view as she describes "the After Sylvie time" as she and her father grieve together and try to find some hope to move on. Jules thinks of it as "the After Sylvie" time, and she and her father grieve together, struggling to cobble together some hope for the future. The other point of view belongs to the kennen fox kit who is observing Jules' movements and maybe the answer to Jules' question of where people go after they die. There are a lot of heavy elements in this beautifully written book. Jules alludes to the death of her mother in which she vaguely remembers her. The devastating and numbing experience of Sylvie's sudden loss and disappearance as well as the grieving of a neighbor who was deployed with his best friend to Afghanistan. At times these events drag the book done and I had to read it in spurts, but the inclusion of the magical foxes help bring it up a bit. The authors don't hold back nor are they afraid to not have answers about younger reader's questions about death either. They do convey to younger readers that grief is a journey that takes in many forms and a person can recover after a terrible loss and be hopeful for the future. Words of Caution: There are a lot of questions about death in the book. There is also a war veteran who suffers from post traumatic disorder and whose suicide is alluded to in the book. Due to the strong topics in this book, I would recommend it to Grades 6 and up. Oh this sounds powerful and moving, but I don't think I could read it quite yet. I am still struggling with my own grief. The cover is just lovely. Oh that sounds heavy for an MG book, but it also sounds good. Love the magical fox aspect to it and it makes me curious!